More than 10 inter-state trains pass through the station, everyday. Still, the commuters from here do not even get place to stand. In general compartments at least 300 persons travel with difficulty. Especially train service here has not done any good to children , women and elderly persons. Even getting into the train from this station is an adventure. 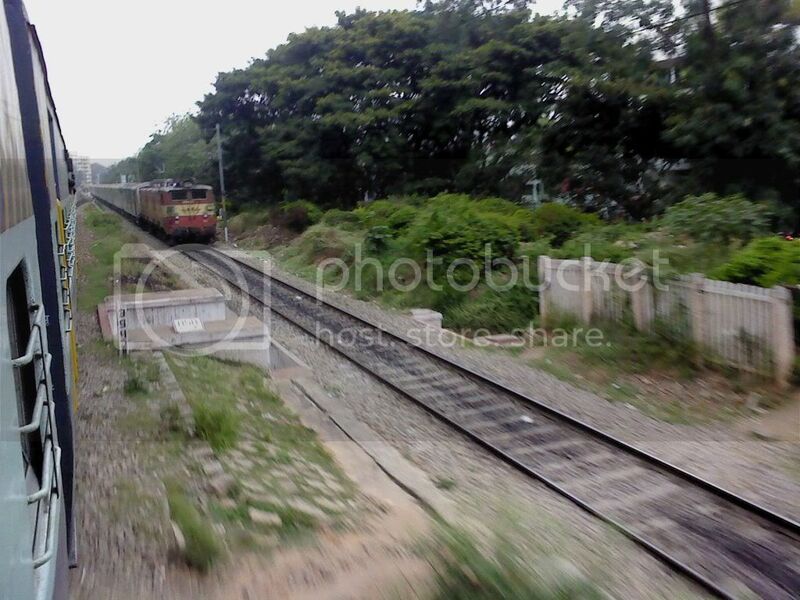 More than 10 thousand people from town and other villages of Malur, travel everyday in train. Leave alone seating facility, many do not even get place to stand. 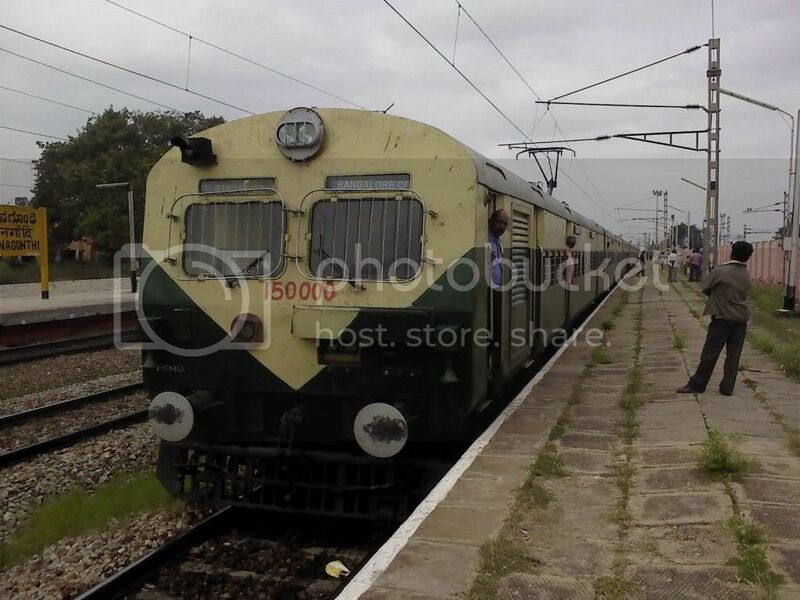 Kanyakumari Express, Thirupathi Passenger, Kuppam Push-pull, Kolar Push-pull, Marikuppam Push-pull, Kakinada Express, Passenger Express, Arakonam Passenger, Chennai Express and Mysore Passenger is full everyday and commuters from Malur have to face difficulties to get in. Everyday commuters stand in a queue from 3 am. By five in the morning there is a long queue. Thousands of people are seen rushing to get the ticket. There is a lone ticket counter and many people return without tickets as by the time they get tickets, the train would be moving. Adding to woes, there is not even a single water tap with drinking water. Toilet is also missing in the platform. Even if one tries and finds out a toilet nearby, it would be dirty and stinking. Daily travellers have submitted memorandums, requesting to provide facilities including drinking water and additional ticket counter. But no action is taken yet. These things show how badly Commuter Rail Service is needed to help the suburbs of Bangalore and solve the traffic and Urban Transportation issues. Submitted by rs on 6 March 2012 - 10:51pm. The problem is that poor people use trains. The govt. is happy to spend 6000-10000 crores on some meaningless high speed rail from the airport which no one will use. They think the rich will but the rich will continue to use taxis. But they dont care about the hapless millions who struggle every day getting to and fro Bangalore. This state has gone to the dogs - there has to be a revolution. Submitted by kbsyed61 on 6 March 2012 - 11:37pm. You are bang on. This only proves how convoluted are these plans of Signal Free jns, A/C BIG-10 fleet who half the time runs empty, over served areas like Koramangala, Jayanagar, BSK, Malleswaram/rajjainagar/Vijaynagar, where the middle and upper class won't give a damn about what is the best for the city. The areas in which people depend on PT systems are severely under served and in some cases they are denied a just share of PT system. Just the Metro routes speaks volumes about lopsided progress that the govt is unleashing. It seems those who vote religously gets lemons but those who don't care to vote or participate in process of democracy, gets all the attention of the govt, BBMP, BDA, CMs, Ministers with slew of all the amenities one can hope to. The only reason why commuter rail plans doesn't get off is because it doesn't run into 1000s of crores and railway for some reason is perceived as for the "Bharat Ki Bhooki Janta" only and it is somewhat reflection of a class war. Submitted by rs on 7 March 2012 - 9:05am. Well, I wont go so far as to say the middle class doesnt give a damn about the city - the fact is I think the middle class is largely disenfranchised and while things appear to be being done to help them - widening roads, HSRL etc - the real reason is so that the politicians, BBMP bureaucrats can make a lot of money. As a middle class resident of Malleswaram I would, for example, love to be able to take public transportation to MG road for dinner - but all buses from Malleswaram go to Majestic and so I would have to go and change buses there making the endeavor too time consuming to be worthwhile. The public transportation doesnt serve certain areas very well. I would love to take commuter rail to work - I work near Bangalore university and so if it existed I would take it - its only 13 km by train. But no trains exist ! The proposals never seem to move forward as they are not money making schemes for the politiciansl The fact is that while nobody gives a damn about the poor the also dont give a damn about anyone else. Its not clear to me whom this HSRL will serve - its too expensive for the BIA worker to use, not that convenient for most people and the rich business people would rather take a taxi. The bus service is fantastic but only for returning and flying in the middle of the day - for an early morning or late night flight I would hesitate to rely on it as for it to work one has to go to Mekhri circle. Its all about these big pointless infrastructure projects which make the politicians and corrupt BBMP officials money. Nobody cares about the hapless citizen of this city. Submitted by abidpqa on 7 March 2012 - 11:36pm. 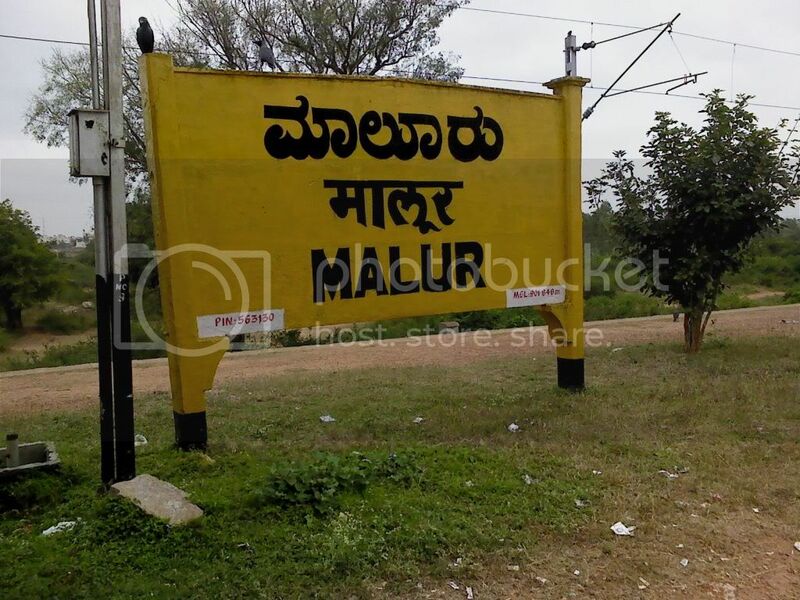 Al though there may not be enough trains, the train services in the route favours passengers from Malur and Bangarpet. For example in the morning train timings from KR puram to Malur are 7:30, 8:30, 9:40, 10:15, but from Malur it is 5:10, 5:45, 6:35, 7:45, 8:10, 9:10, which are much more covenient and frequent. So people from Malur do have advantage, and they have more influence. If there is same frequency of trains back to Malur in the morning, people going to Whitefield can take advantage (CRS), also there will be need for less parking of trains in Bangalore. Where is the RITES report? Submitted by kbsyed61 on 8 March 2012 - 11:22pm. It is 2nd week into March 2012, still no sign of RITES report? Submitted by Sanjeev on 9 March 2012 - 12:37am. Including CM, Transport Minister & Bangalore Incharge Minister, IDD, DULT & DRM / SWR have different priority so Commuter rail /presentation by RITES has not been given priority, with state budget coming up on 21st March, my feeling is once again commuter rail is given stepmother treatment when compared to METRO / BMTC. CM / Transport Minister/ MLA's / MP's have not revieved till now or not even concerned to push the Commuter Rail from GoK to Railway Board. Submitted by kamalakar pandit on 9 March 2012 - 2:25pm. GOK will never be serious as there are other priorities like denotification, pronogate,scams etc...do not have time to see other works....sorry. Submitted by kbsyed61 on 9 March 2012 - 8:54pm. Any reason for RITES to ask a date with GOK? For submitting the report? or for seeking clarification or more time? 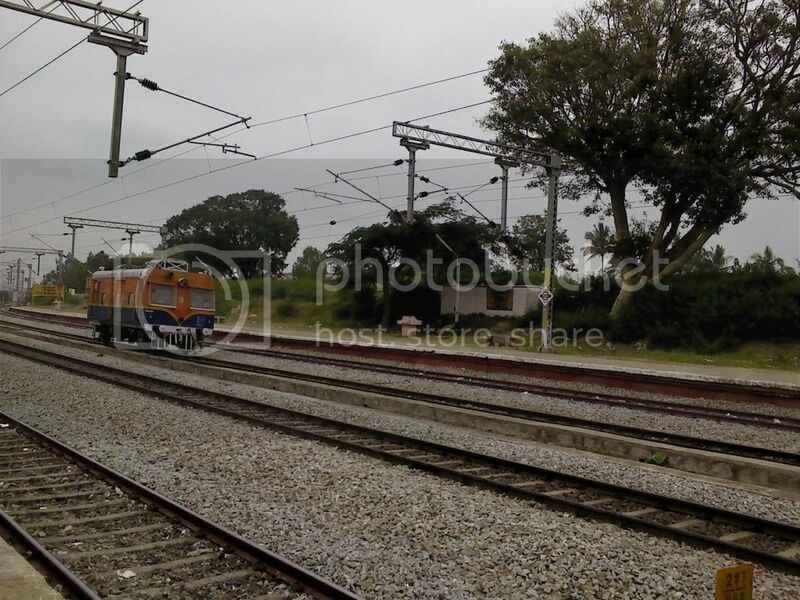 Submitted by Sanjeev on 10 March 2012 - 8:31am. As the RITES has completed it wroks, before submitting the final report, it need to present how commuter rail will be taken foward thru their study and what difficulty wil be their in terms of Infrastructure, Financing, Fare structure and expected funds needed. How this should be integrated with Other modes of PT and whihc corridors this commuter rail will be planned. So the stake holders like IDD, DULT, SWR, BBMP, BMTC, BMRCL & BMRDA along with CiSTUP & Praja will be called for presentation of RiTES & draft report submission to IDD SWR & DULT, After that if any corrections needed, will b incorporated ( may be PRAJA voice will be neglected ) and final report will be submitted to GoK. So in effect, GoK is delaying the project for different reasons, even transport miniister, CM & Chief Secretary, MPs of Bangalore have not bothered to revivew this progress. Submitted by idontspam on 13 March 2012 - 10:06pm. Response from DULT "RITES team is likely to make apresentation around 20 th. All interested parties and stakeholders will be invited to this meeting." What's in for Karnataka in 2012 Rail budget? Submitted by kbsyed61 on 14 March 2012 - 6:59pm. What's in for Karnataka in 2012 Rail budget? Haven't seen the full text of teh budget presentation. So far news is about TMC's halla- bulla in opposing the rail budget. With TMC around, Indian democracy doesn't need an opposition? Submitted by Sanjeev on 14 March 2012 - 8:01pm. Once again Karnatak is completly neglected in this. 1. Already sanctioned Adarsha Stations work itself not started. Which were sanctioned in earlier budget. 2. No doubling project has been sanctioned this budget. 5. Even new lines where they are planned to complted, no trains announced. 6. Express Trains to Delhi, Mumbai, Goa, Amritsur, Haridwara, Jammu, Varanasi, Shiradi from Hubli are not considered once again. 8. There is no Durrunto Trains for Karnataka and even increase in Frequency for the existing Delhi is not done. So once again Commuter Rail for Bangalore is not considerd and infact simple thing of extending Bangarpet - Bangalore Trains to Bidadi is not done, instead of these are extended upto Marikuppam, great minds of MoS, DRM / Bangalore, GM / SWR. That means their is no thinking of revenue where IR can get on extensions, its some whims and fancy. when we discuss, losses is talked for suburban trains and these extensions will further make losses to SWR, if they had extended on the Kengeri side, they could have doubled the revenue. Submitted by kbsyed61 on 14 March 2012 - 8:24pm. In good news for people who use local trains in Mumbai, Chennai and Kolkata, Railway Minister Dinesh Trivedi today announced 137 additional services in sub-urban train network. Submitted by Sanjeev on 14 March 2012 - 8:25pm. The commuter rail system (CRS) must have been commissioned even before the Namma Metro.However, considering the various studies that have been done over the years, the sluggish attitude of the implementing agencies has resulted in the fact that Bangalore is only still ‘talking’ about commuter rail. The need for a commuter rail cannot be downplayed in a city like Bangalore, which has over 32 lakh vehicles registered already and another 1,000 vehicles registered every day even as it grapples with issues like traffic jams, pollution and various mental and physical health problems. Building more flyovers and underpasses,or widening the roads isn’t solving the issue. The traffic data of the metropolitan region of Bangalore justifies the launch of a CRS. An added advantage of the CRS is that it will help disperse people from the densely populated central business district of the city. CRS will also be able to seamlessly integrate with mass rapid transit systems like the Metro, high-speed rail and so on. Its mess created by GoK & SWR, so the citizens are at receiving end wth this time again not getting it. Other cities like Mumbai, Calcutta, Chennai, Hyderabad managing it well in Rail budget. So they are not much bothered on METRO as METRO will in any way pushed by UDD of GOI. So double treat for the other cities, Bangalore is on raw deal for PT. Submitted by idontspam on 14 March 2012 - 9:53pm. RT @sonaliranade: Congress shud show some self-respect or quit anyway. Submitted by murali772 on 15 March 2012 - 1:39pm. It appears the Indian Railways is in competition with BBMP on the question of who is more out of sync with the changing world - the entire outlook has to change at both the places. Ashwin finds fault with SWR? Really? Submitted by kbsyed61 on 16 March 2012 - 9:14am. "...Considering that the central government has not taken any initiative to provide a commuter rail for the city, Ashwin Mahesh, CEO, Mapunity, feels that the state government should do it on its own. “There has been no response from the ministry of railways. I think it is time we took it up ourselves,” he said...."
Since 2010, Namma Railu team has knocked on doors of every entity that is considered a worthy soul for commuter rail service in Bengaluru. Since 2010 round table conference at Cistup in which Dr. Ashwin was one of the panelist, talk of CRS is in news from various platforms - Media, Blog sites, conferences etc. Odd to find that Dr. Ashwin'finds fault with SWR not with GOK? Isn't it GOK playing politics on PT projects? Isn't it CRS has become a victim of class war politics? HSRL, Metro gets glittering attention while CRS is relegated to ordinary souls like DULT. Dr. Ashwin, It would be interesting to see the list of efforts from GOK in pushing CRS with ministry of railways. I am sure it is minimal if not nill. Lets see post RITES report how far GOK will find virtues in CRS. 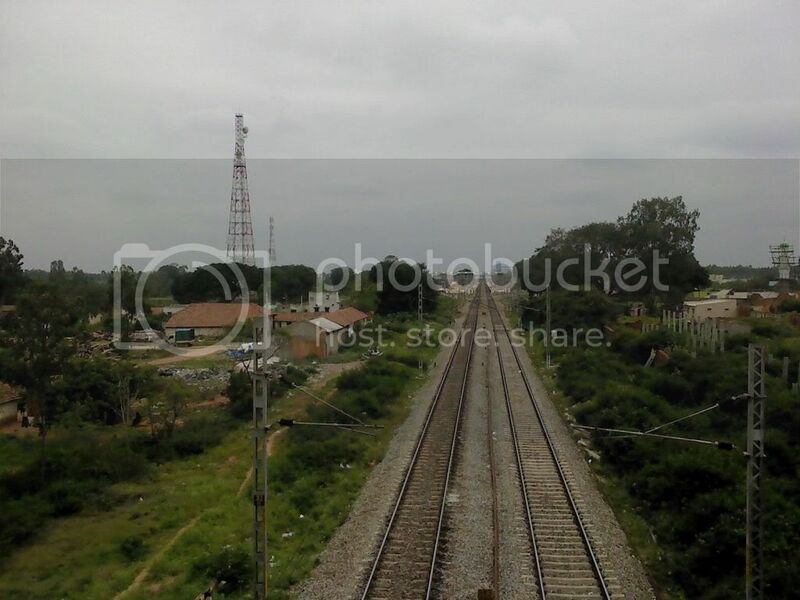 Submitted by Sanjeev on 16 March 2012 - 10:55am. With last 2/3 yrs, GoK, IDD, BBMP, Ministers of state & Central, MP's, MLA's & Corporators have not bothered to push the Commuter Rail and their is lip service from GoK and blaming SWR or IR completly is not correct. Both GoK & SWR / IR equally responsible for the current state of affairs on Commuter Rail. GoK has never shown complet interest in Commuter rail and Equally SWR / IR failed to even provide necessary Suburban Trains when most part of the city Rail netwrok is double track with electrification. Even simple thing of Bangarpet - Bangalore EMU service which does 5 shuttel services could have been extended upto Bidadi with two more Rakes. Instead MoS K H Muniyyappa & DRM / SWR have manged to exted towards Marikuppam. If the service was extended to Bdadi, SWR would have made huge profits due to good patronage, now SWR will make further losses as Passengers towards Marikuppam hardly contribute to the ticket revenue of SWR. Submitted by idontspam on 16 March 2012 - 12:59pm. Submitted by murali772 on 19 March 2012 - 12:34pm. this the way out for Indian Railways? Submitted by prakash dh on 20 March 2012 - 1:48pm. It is high time that bangalore got local trains. The government should set up a panel to carry out the detailed report and moniter it strictly. 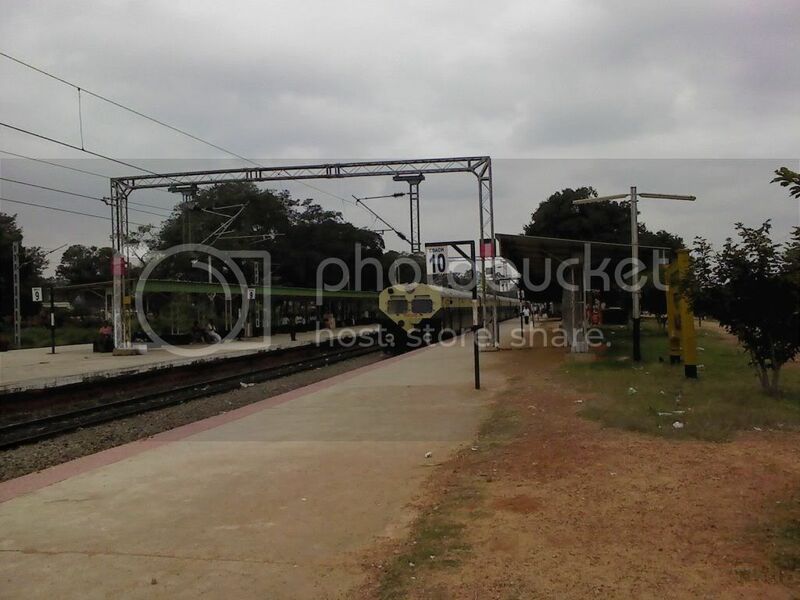 Bangalore has high potential for local trains. There are tracks existing in almost all directions throughout bangalore,and necessary enhancements like doubling of the tracks or electrification should be done. It would be of great relief for commuters and a huge traffic load can be taken off the road. It is truely truely a great requirement for bangalore and it is very efficient. I hope the government realises this and starts off the project at the earliest. May be we all can take initiatives and appraoch the concerned officials or the CM directly (because thats when something really can happen) and persuade them to look into this. Submitted by devadas jeppu on 20 March 2012 - 6:47pm. I wonder whether our politicians r finding time to visit cybercity to read our demands. I agree with Prakash dh, to reinvent ourselves by making demand in person afresh. The present CM( do not know how long he will be there)appears people friendly and may not be well aware of this need. Why not present ourselves to him & submit requirements afresh? Submitted by idontspam on 20 March 2012 - 7:48pm. would-be, wanna-be, has-been, which CM? today you will put the case to one, tomorrow another will take his place, yet another the day after? In this political thamasha governance suffers. Submitted by prakash dh on 21 March 2012 - 4:56pm. I understand your point idontspam, but we just can't sit back waiting for a stable government to come. We have to take initiative and go ahead and meet the concernd official or the CM, hoping that there wont be any CM change. As Mr.Jappu said we can present our ideas to him and making him realise how important it is to actually have local trains in bangalore. Hopefully if we all can make up our minds and try meeting him, some progress can happen. I just hope and pray everyday that bangalore gets local trains. Travelling by local trains is so much convinent,so much fun and it feels so good to travel in trains. Come on, we need it badly. Submitted by prakash dh on 21 March 2012 - 6:13pm. Why not ask for media support?? We all can persuade the media to publicise CRS. We need to talk to the media and ask for their help. We should ask both the print media and broadcast media to publicise and follow the developments of CRS in the govenment and keep people informed day to day and not to fade away as time goes by. We have to decide upon this at the earliest and meet the media people. Submitted by narayan on 26 March 2012 - 9:59am. Gauribidanur needs commuter rail system between bangalore and gauribidanur as daily more than a 1000 persons travel between the two places for jobs and business. The present Hindupur - Bangalore passenger that leaves Hindupur in the morning and reaches city and leaves city in the eveing to reach Hindupur is overcrowded. Also there is no complementary train from BANGALORE in the morning and from HINDUPUR/GAURIBIDANUR in the evening. Submitted by kamalakar pandit on 5 April 2012 - 11:29am. Submitted by Hemanth1987 on 1 May 2012 - 8:55pm.